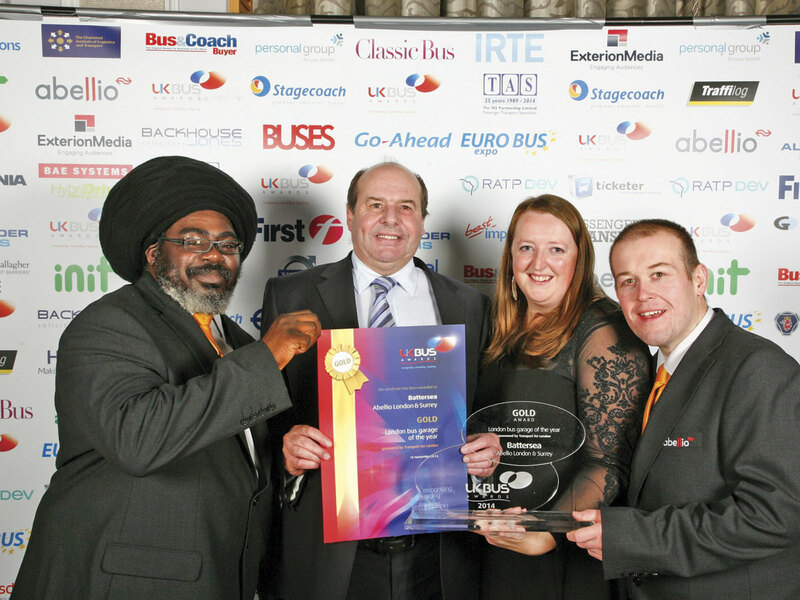 The ballroom of London’s Park Lane Hilton was once again the venue for the 2014 UK Bus Awards. 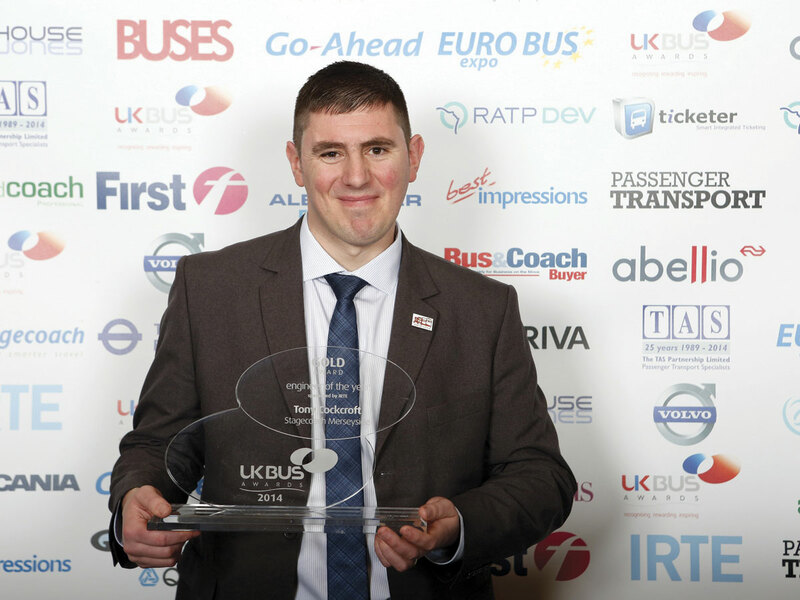 There were some slight changes to proceedings this year with the key note address being given by Graham Pendlebury, Director of Local Transport at DfT, in the absence of Baroness Kramer. 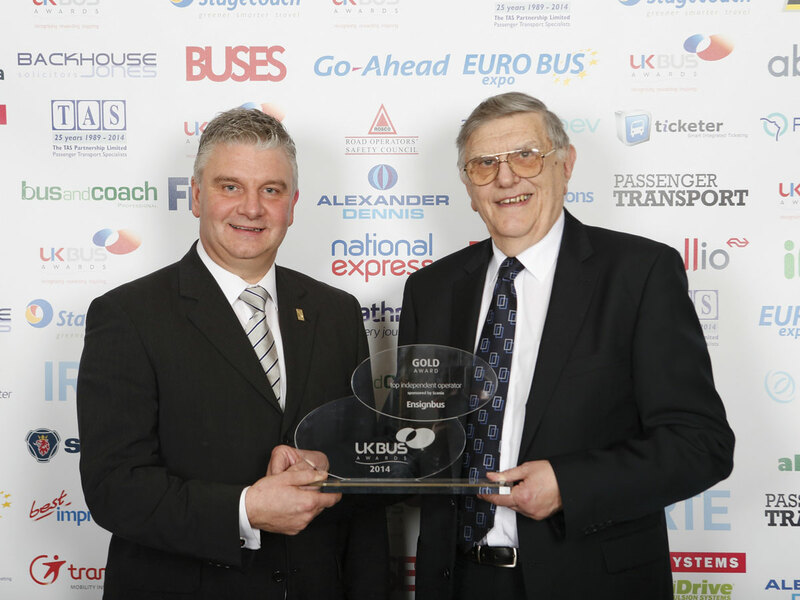 The ROSCO award for safe driving was presented before lunch by Chairman of EYMS and ROSCO, Peter Shipp, to John Noble of Ipswich Buses who, out of 42 years driving experience with the company, has achieved 35 years of continuous safe driving. 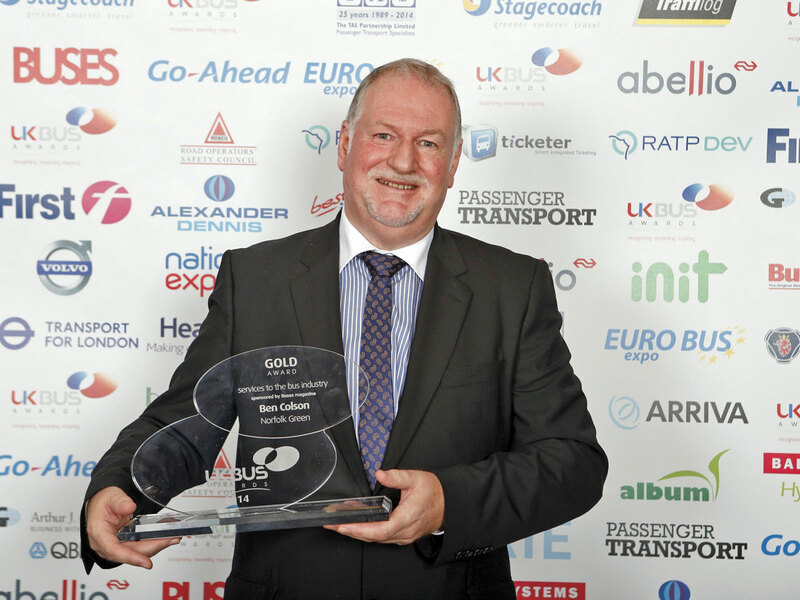 Arriva claimed the top three places in the Young Manager of the Year category, with gold coming from the North West and Wales where General Manager for Bootle, Richard Hoare’s passion and clarity of vision gave him the top spot. 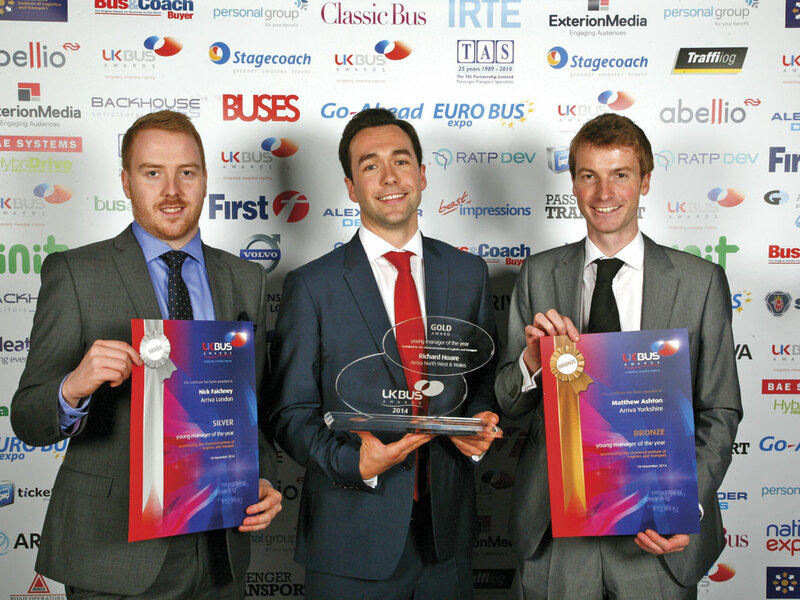 Ensign Bus were awarded Top Independent Operator whilst the company’s Jason Jackson received a silver in the Bus Engineer of the Year category, which was won by Stagecoach Merseyside’s Engineering Director, Tony Cockcroft, for his work across five of their sites. 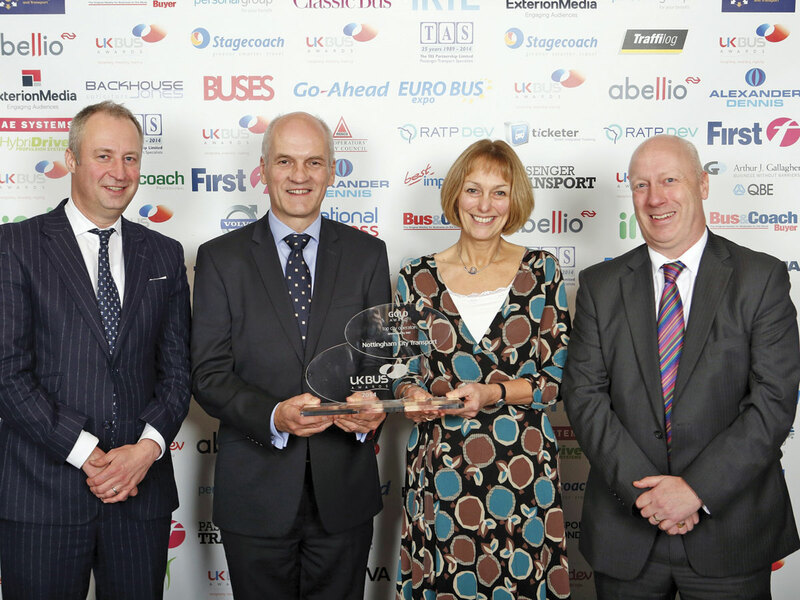 Top Shire Operator (operator with 100+ vehicles outside of the large urban areas) once again went to Reading Buses but they missed out on the coveted UK Bus Operator of the Year award which went to Nottingham City Transport. Judges were particularly impressed by their Grade 1 OFSTED rating for staff training and their substantial investment in improving services. 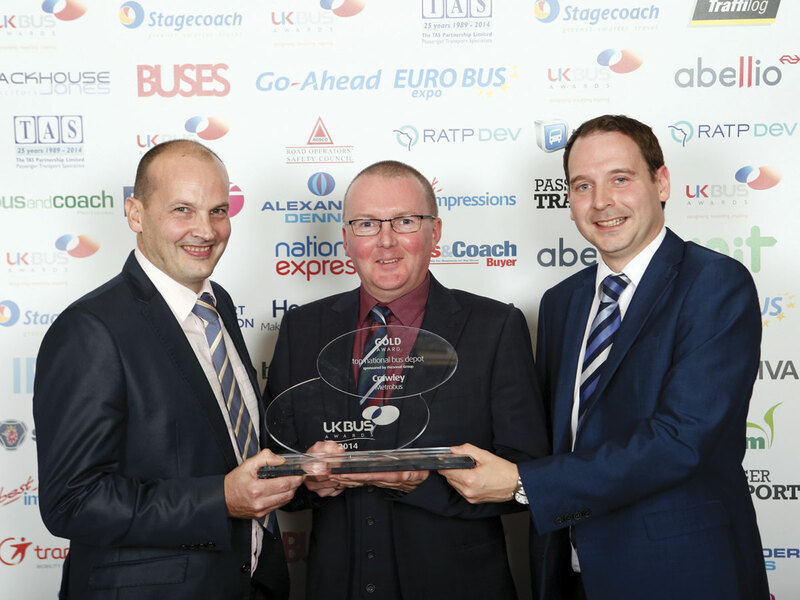 Nottingham triumphed again as driver Les Roome was announced Top National Driver, for his care in assisting passengers and waiting for them when he sees them running. 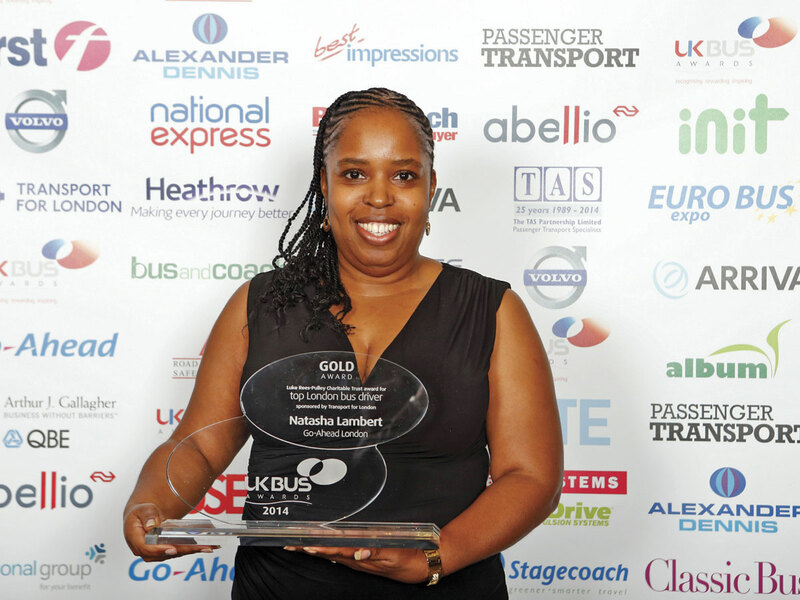 Top London Driver was awarded to Natasha Lambert from Go- Ahead’s Merton depot for her calming attitude in confrontational situations and her commitment to safe and considerate driving. 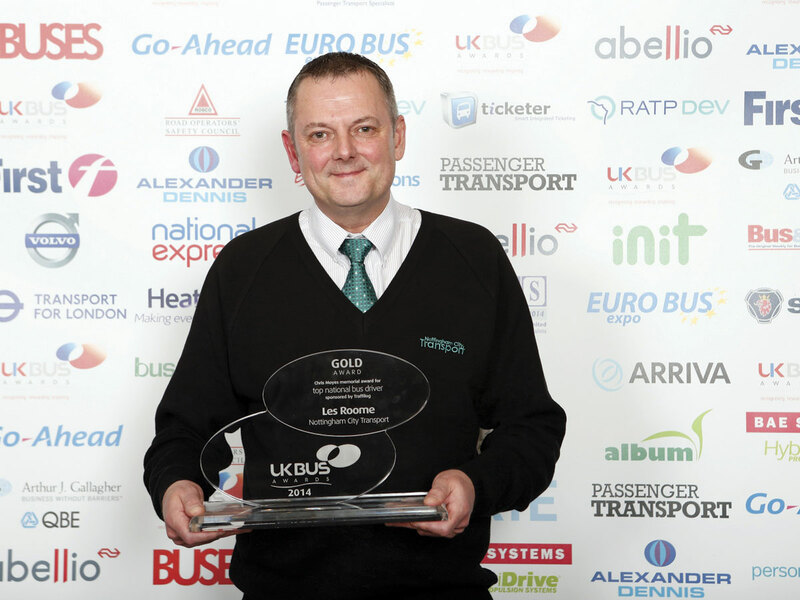 Ben Colson was recognised for his Services to the Bus Industry, a career that spans across 45 years. He is perhaps best known as the former CEO of Norfolk Green, and current chairman of ALBUM. 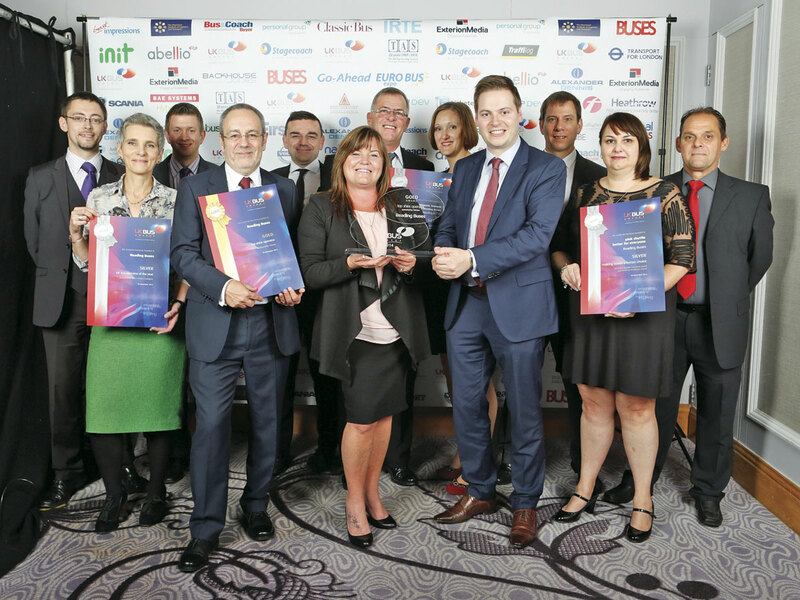 The ceremony closed with the presentation of two special awards, the first to First Games Transport and First Glasgow for their provision of bus and coach transport to the 2014 Commonwealth Games. The second went to Stagecoach South West for helping to keep vital transport links open during the closure of the Dawlish rail line due to severe flooding earlier in the year.